Why Is Duct Sealing Important to Heating System? Many problems may be caused and disturb your comfort system in the result of the loss of the integrity of the ductwork in your home. Unfortunately, as residential ductwork is designed and planned in such a manner so as to remain hidden from sight, it is very difficult to know when the ducts have damage that require specialists to seal them. You are obliged to call for indoor air quality experts right away to see if you need ductwork sealing every time when you sense a drop in airflow from the vents in your house, or detect strange smells coming from the ventilation system, call for indoor air quality experts right away to see if you need ductwork sealing. Maybe you use a forced-air heater in order to provide warmth for your home, such as a furnace or a heat pump. Use ductwork is used by this system to distribute heated air, and to receive the best heating, you must have these ducts fully sealed. Call Jupiter Air Conditioning and Heating for duct sealing services if you think that poor duct integrity is affecting your heating. For the maintenance of air pressure as air travels from the blower fan in the furnace or heat pump all the way to the registers in the room it is important ventilation systems to be manufactured to be airtight. In the existence of even a small hole a large drop in air pressure can be caused, and leaky ductwork can lead to as high as a 30% drop in heating efficiency. Higher bills: When heater starts losing air pressure and heat to the colder air around the ducts, the system will need to work harder to reach its target temperature. The result will be much higher heating bills until the leaks are sealed. Cold spots: Rooms in your home will start to experience drops in warmth because of leaks along the ducts that connect to the vents. Uneven heating is usually an early warning sign that you need to call for professionals to seal the leaks in the ductwork. Increased repair needs: First of all, a heating system that has to overwork because of escaping air in the ducts must be repaired much sooner, and it will also age faster toward the point where it must be replaced. Dust, dirt, and other debris to infiltrate the ducts will arise because of ductwork leaks, which will enter the cabinet of the heater and cause damage to motors and other mechanical parts. Indoor air quality experts should take care of the necessary duct sealing for your ventilation system. (So-called “duct tape” will not take care of the job; this tape is good for many tasks, but ironically repairing ducts is not one of them.) The professionals will find out what is wrong with your system, where and why it loses air, and will then use mastic sealant or metallic tape to close up the leaks. 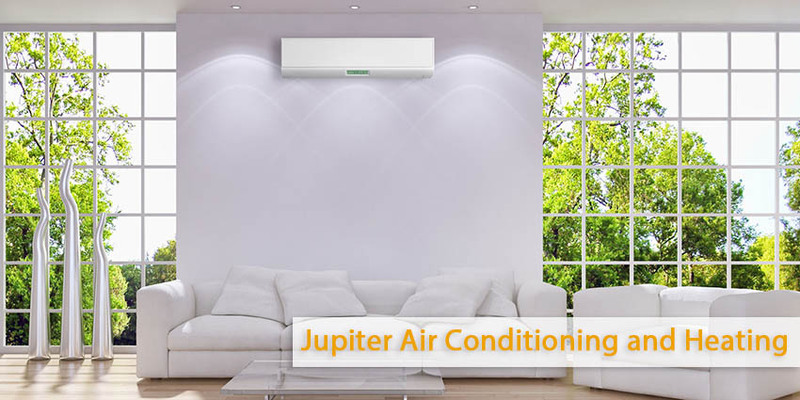 If you want fast and effective service to maintain your heating in Los Angeles, CA and the surrounding areas, you may call Jupiter Air Conditioning and Heating whenever you want.